KPOO is an independent, listener-sponsored, noncommercial radio station. KPOO has Board members from various communities of San Francisco who are responsible for its operation. KPOO broadcasts 24 hours a day on 160 watts, with a radiated power of 270 watts, covering San Francisco, Oakland, and the Bay Area. KPOO gives voice to the concerns of low income communities in San Francisco. Founded by Poor People’s Radio, Inc., KPOO’s ongoing mission has been to open the airwaves to the disenfranchised and underserved. Our station broadcasts news, public meetings, election, live events, interviews, public service announcements and music not heard on any other radio stations. As such, KPOO has continued to have a very loyal listening audience. KPOO specializes in jazz, reggae, salsa, blues, gospel, and hip hop music. KPOO serves the Bay Area’s Latin community with several bilingual programs a week, and also produces programs concerning Irish Americans, Arab Americans, women issues and Native American concerns. KPOO broadcasts live the weekly meeting of the San Francisco Board of Supervisors and non-stop election night coverage. KPOO also uses the airways to educate the community about important issues, including AIDS prevention, health concerns, use of the new technologies, prison affairs, and consumer protection. KPOO Radio has always operated with a volunteer staff. Volunteers range from community people, students, musicians, community activists, actors, doctors, attorneys, young people, seniors, blind and disabled, record collectors, and (of course) broadcasters and engineers. In the early days the station was housed at San Francisco’s Pier 39. 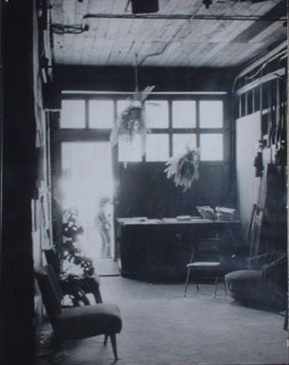 In 1973 the station moved to a garage on 532 Natoma Street in the South of Market neighborhood. KPOO broadcast from the Natoma location (pictured right) until 1982, when once again it was necessary to find new housing. It moved first into a ramshackle building at 1325 Divisadero, then an old Victorian structure up the street, before finally purchasing its permanent home at 1329 Divisadero in 1985. This ended a six-year struggle with the San Francisco Redevelopment Agency to find a feasible development plan. While other stations strictly adhered to a “top 20” format, KPOO broke new ground, allowing programmers select their own music, thus giving exposure to new genres of music such as hip hop and reggae. This freedom gave rise to the first all-gospel, reggae, salsa, rap, blues, and doo-wop programs in the country. From the beginning, KPOO thought it was of paramount importance to have shows that focused on Native American, Irish, and Palestinian issues. To that end, KPOO broadcast Red Voices, The Irish Freedom Hour, and The Palestine Hour (now called Arab Talk). These programs have aired continuously since 1974. Prime time programming included Black Community Report, Women’s Community Report, Latino Community Report, and Asian Community Report. Additionally, KPOO broadcast shows such as Renter’s Rights, Campaign Countdown (non-stop election coverage), Poetry For the People, Music from Polynesia, and KidSpace. KPOO aired issues important to women, prisoners veterans, the LGBT community. KPOO has always broadcast local community events around San Francisco and the Bay Area. 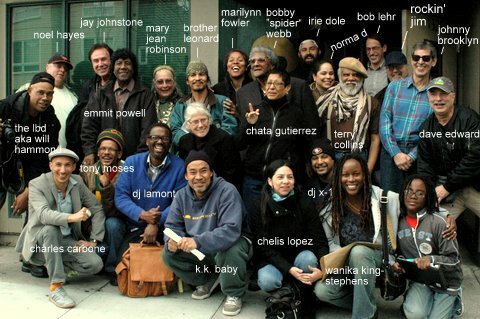 KPOO was the first Bay Area station to play rap, salsa, and reggae music. In 1979 KPOO was the first station on the west coast to broadcast an “all rap” show. KPOO was also first to air Filipino, Polynesian, LGBT, veterans, women’s and prisoner rights programming. Joe Rudolph was born in 1938 in Tyler, Alabama. He served in the US military from 1961-1963. 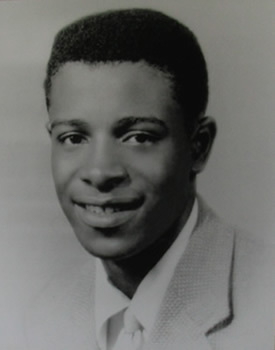 Joe helped organize the 1968 student strike at San Francisco State University, which led to the creation of the first Black Studies program, which was the catalyst for the only College of Ethnic Studies in the US. In 1969, after leaving San Francisco State, Joe started Fillmore Media, a community-based media center that taught people how to use the then-emerging video technology to benefit their communities. He also took Fillmore Media into college classes at Lone Mountain College as an instructor. In 1979, George Kelsey and Julio Ramirez went on to develop community access for then-emerging cable TV. It was then that Joe Rudolph became General Manager. Joe Rudolph played a key role in First Amendment battles concerning the right to play controversial material on the air, such as speeches of Malcolm X and Louis Farrakhan. His uncompromising commitment to covering important issues facing communities not served by commercial radio in the Bay Area has been the driving force behind KPOO’s unique identity. Joe Rudolph joined his ancestors March 12, 2001.